Treating Diseases With Young People's Blood?? The idea of using the blood of a young person to treat chronic illnesses and aging dates back 150 years. Curing diseases and turning back the clock on our bodies might be as simple as infusing ourselves with "young blood." The idea of using the blood of a young person to treat chronic illnesses and aging dates back 150 years. At that time, researchers experimented with a technique called parabiosis — stitching together two organisms so they share a circulatory system and blood. Early studies used parabiosis to treat a range of illnesses, from cancer to obesity to heart failure and, yes, even getting old. There were some positive results. But animal test subjects frequently died, and parabiosis fell out of favor in the 1970s. 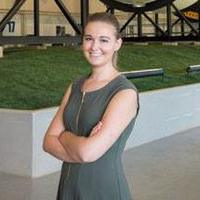 Recently, there's been renewed interest in the research. 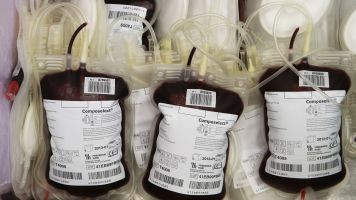 Modern-day transfusion methods can pass blood from one organism to another without sewing them together — meaning scientists could start testing the idea of young blood on humans. One team of researchers recently had the first clinical trial with humans. They found not only was the procedure safe, but an infusion of young blood also made it easier for people with dementia to do everyday tasks. But this was just one trial with only 18 participants, and other studies have shown drastically different results. Some found the rejuvenating effect of young blood isn't enough to counter the degenerative aspects of old blood. Opponents argue there's not enough solid evidence that the transfusions work. But that hasn't stopped some people from trying to capitalize on the idea. Private companies like Ambrosia will inject anyone over 35 with young blood — for $8,000 a dose. That poses a whole other series of red flags. Future studies may find the transfusions to be carcinogenic. In the meantime, young blood might become a commodity, spurring the emergence of a black market or exploiting current practices that are legal, like donating plasma.